Whether you're a new mom or a veteran with years of baby care experience, thriving while caring for a baby is no easy task. When caring for a helpless, demanding infant, it's fairly easy to neglect your own most basic needs. Motherhood will always be challenging no matter what your level of experience is. Don't ever forget to tend to your needs, regardless of what difficulties may arise – you (and your family!) will benefit! 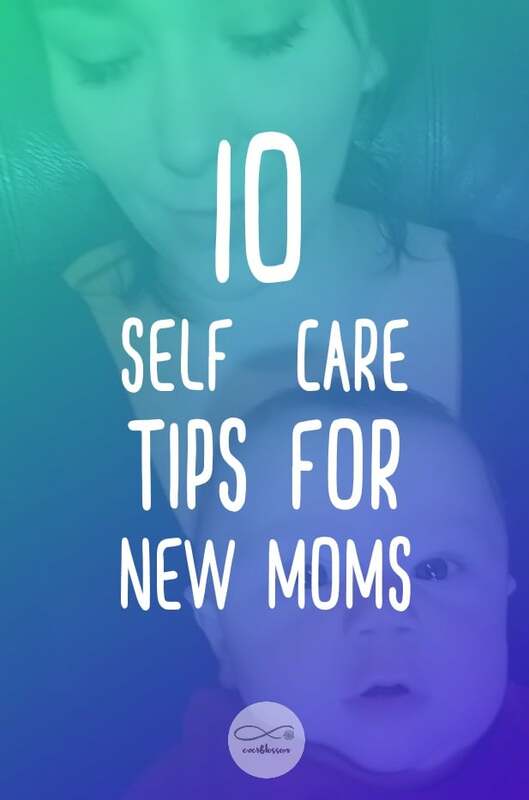 Remember these 10 self care tips for new moms to stay at your best. In the first week home with a new baby, it can be difficult to even find time to shower. However, you must make your needs a priority. 3. Sleep when your baby sleeps. Once the baby is finally asleep, it can be very tempting to try and get “everything done. Instead of tackling that pile of laundry, just lay down and take a nap. You just gave birth to a human, you deserve the rest. We can't function without plenty of sleep – lack of sleep is incredibly damaging to both our mental state and physical well-being, especially for women. If you don't absolutely have to wash the dishes or get dinner started then let it wait. Let someone else take on that responsibility. Your body has been through a lot. Be patient and allow your body to heal. Whenever possible, try your best to plan out your day. Many moms find success in meal prepping for the week ahead. 7. Get out of the house. If you're a stay at home mom, getting some fresh air or simply a change of scenery can do wonders for your mood. If you're dealing with postpartum depression a little sunshine can go a long way. It's not uncommon for moms to skip meals. However, not nourishing yourself will only add to your problems. Eating whole, nutrient-rich foods will help to power you through the day. Yes, you're a mom now, but that doesn't mean you can't pamper yourself. Getting a pedicure, a massage, or even treating yourself to that restaurant you like can be just the thing you need to give you a feeling of normalcy. Self-care is extremely important for new moms. While it is in a mother's nature to give until there is nothing left, you must also remember to fill up your self-care tank once in a while. If you're running on fumes, it will only make it more stressful to care for your new baby. Yes, your baby's needs are a priority, but so are yours.